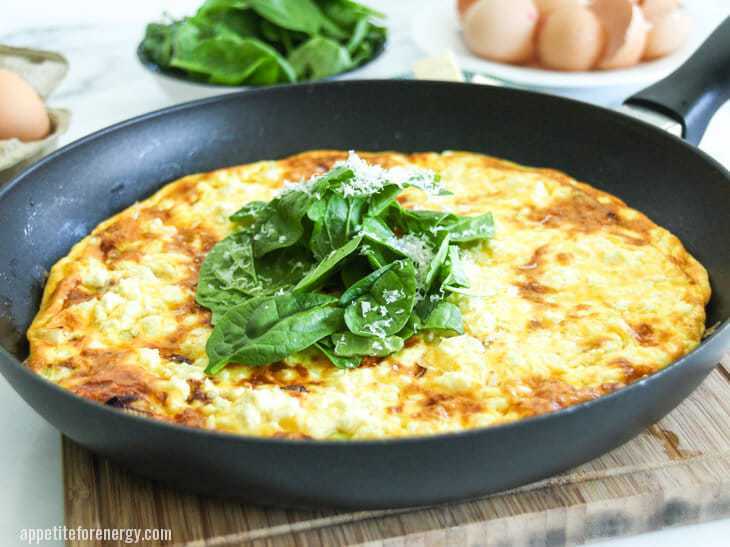 This frittata recipe is seriously tasty and easy to prepare. It’s low-carb with 10g of net carbs per serve and brilliant re-heated for lunch the next day. 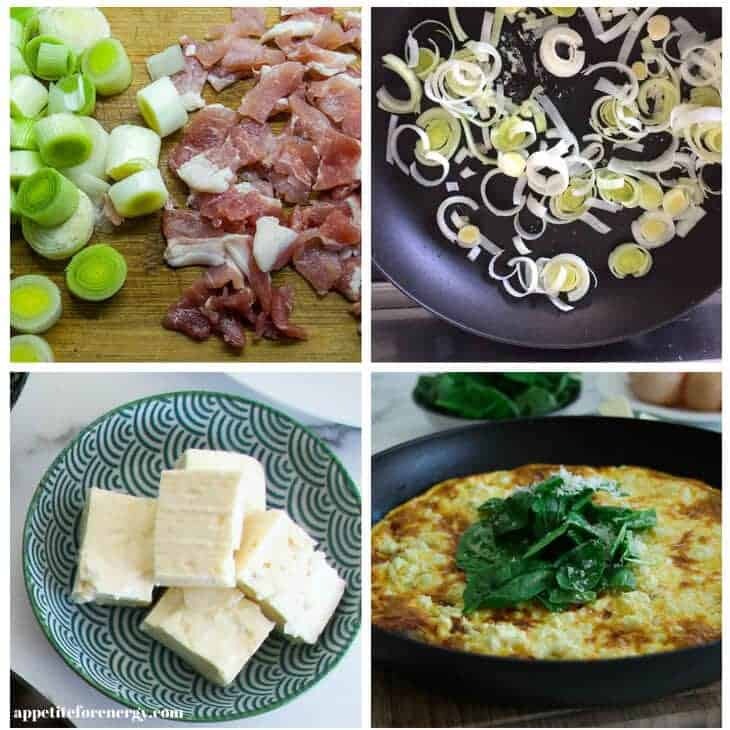 Frittatas are such a versatile dish (read forgiving!) which means you can change up the ingredients based on what you have. Add a little more bacon? Sure. Have some steamed or raw vegetables to use up? Throw them in with the leek and bacon. Cherry tomatoes can be added or different types of leftover cheese. A few herbs can be great too. I often use some fresh thyme or oregano and add it in with the eggs and cream. The frittata can also be cooked in the oven at 350°F (180°c) for 15 minutes, instead of using the broiler (grill). I usually serve this with a Parmesan and arugula (rocket) salad. 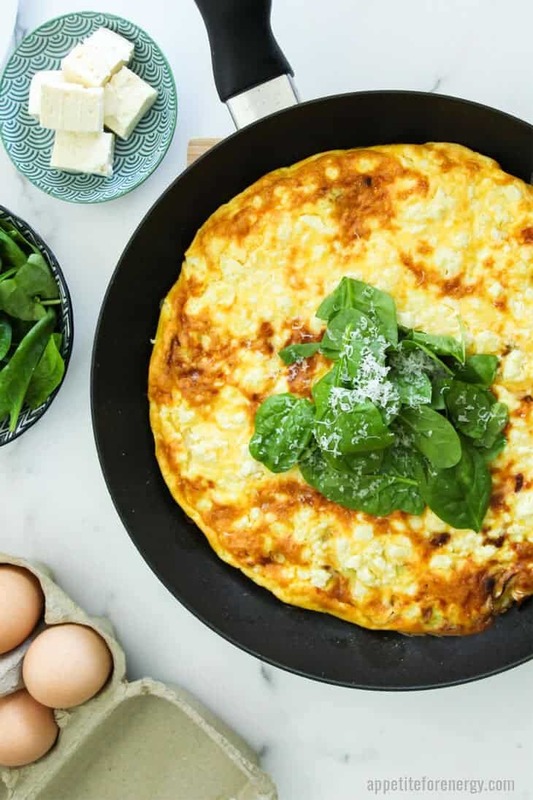 Simply place some arugula on top of the frittata and grate over some fresh Parmesan. You can also make them into mini frittata muffins for a great snack like these Spring Asparagus Frittata Muffins (vegetarian). This recipe is perfect for two but you could double the recipe and use a larger fry-pan. There will be enough for lunch over the next 2 days. Just be sure to use an oven-proof fry-pan. Since I have been focusing on 30-minute recipes I have discovered how useful they are. 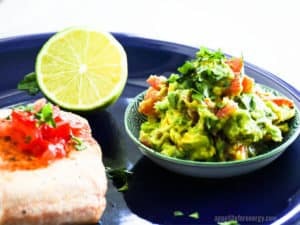 Cooking on the stove-top then finishing in the oven or broiler is an easy technique for getting dinner on the table faster. It also makes cleaning up quicker as there is no need to transfer the food to a baking dish. Part of 30 minute cooking for me is also not making a meal like a superhero in 30 minutes flat and then having to spend 30 minutes washing up every pot in the kitchen. Having an oven-proof fry-pan is very handy (ideally in a couple of sizes – 9 and 11 inch base). The one I have used in this recipe is the Scanpan 9½ inch fry-pan. If you don’t have an oven-proof fry-pan, cook the leek, bacon and garlic in a fry-pan, then put it into a baking dish and pour the eggs over the top. Bake in the oven for 30 minutes at 375°F (180°c). 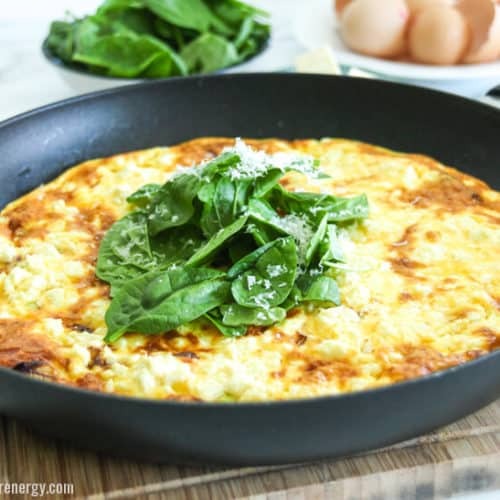 This frittata recipe is seriously tasty and easy to prepare. It's low-carb with 10g of net carbs per serve and brilliant re-heated for lunch the next day. Place an oven-proof fry-pan (approx 9½inch base or 24cm) over medium heat. Add the oil to the pan and cook the leek, bacon and garlic for 5 minutes or until leek is softened. Meanwhile, whisk the eggs and the sour cream in a large jug. Add the grated cheese to the eggs and season with salt & pepper. 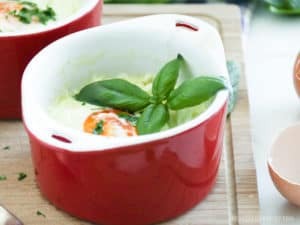 Reduce the heat to medium-low and pour the egg mixture into the pan and cook for about 8 minutes, until the edges are set. Break up the feta and scatter evenly around the frittata. Place fry-pan (oven-proof) in the broiler or grill and cook for 3-5 minutes or until set. Slice and serve with a Parmesan & arugula (rocket) salad. 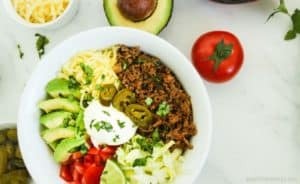 This recipe is great reheated for lunch the next day. The frittata can also be cooked in the oven at 375°F (180°c) for 15 minutes. If you don't have an oven-proof fry-pan, cook the leek, bacon and garlic in a fry-pan, then place it in a baking dish and pour the eggs over the top. Bake in the oven for 30 minutes at 375°F (180°c).